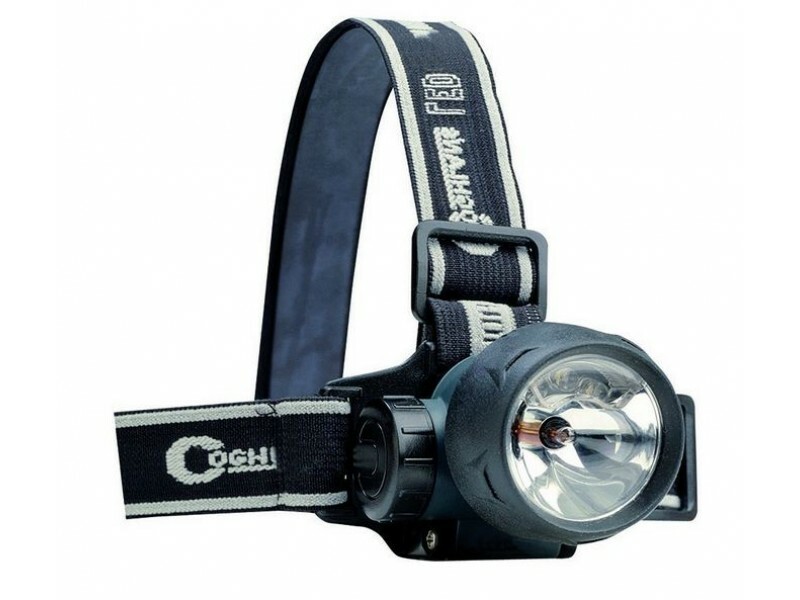 Coghlan's LED/Xenon Headlight is is the ideal headlight for outdoor or light restricted areas. With a lamp tilt of 90 degrees makes it easier to illuminate a specific area. It has 3 lighting functions. 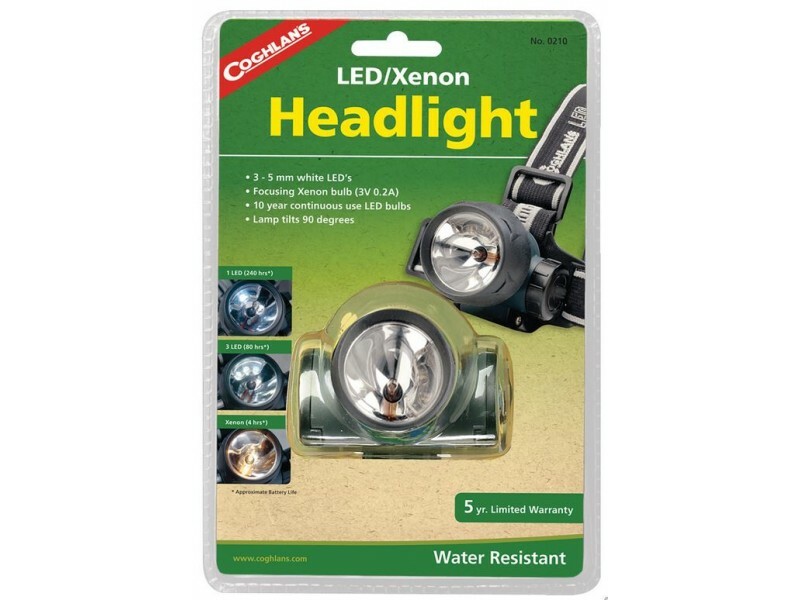 Choose to operate one LED, three LEDs, or Xenon bulb. 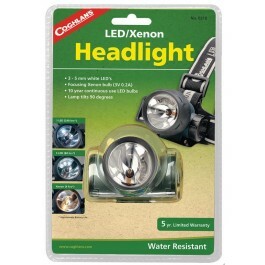 The Coghlan's LED/Xenon Headlight is water resistant, shatterproof, and has a shock proof body.